As vaping becomes increasingly more popular among smokers looking to kick the habit, many people are wondering about the possible health benefits of vaping vs. smoking. 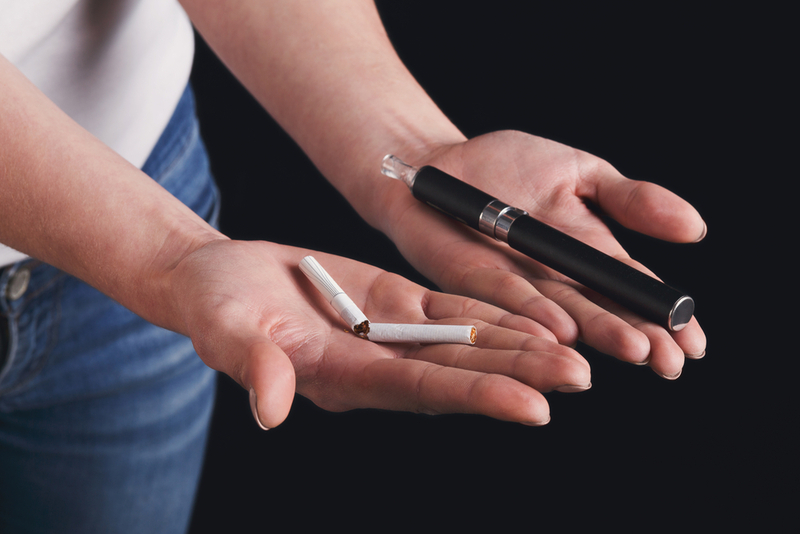 It’s common knowledge that traditional tobacco cigarettes have a wide range of detrimental health effects and that smoking cessation is one of the best things anyone can do for their health – but is vaping the answers? We’re breaking down the science of vaping to help you decide if making the switch is right for you. Although there are still studies to be done, early findings are showing that vaping may be a better alternative to traditional cigarettes. Public Health England conducted an extensive review of vaping in comparison to smoking, publishing findings that reaffirmed the feelings of vape advocates everywhere. According to the report, the researchers concluded that e-cigarettes were a far less harmful alternative to traditional cigarettes – which is good news for smokers who are working to drop the habit. While many critics of vaping highlight nicotine as one of their key reasons that vaping is no better than smoking, much of that commentary stems from misinformation about nicotine itself. While nicotine has been proved to be an addictive substance contained in both traditional cigarettes and most vape juices, it is the tar and other chemicals in cigarettes that are primarily responsible for detrimental health effects. Chemically, nicotine is similar to the caffeine in your morning cup of coffee. Another common concern of non-vapers is e-juice and its ingredients. Interestingly, most high-quality e-liquids contain just a handful of ingredients that are commonly used in products you use every day. In shocking contrast to this short list, cigarettes, and tobacco smoke contain about 7,000 ingredients – more than 60 of which are scientifically known to be cancer-causing – which would you choose? Vaping is a recent arrival on researchers’ priority list, so there’s still plenty of testing and exploration to be done before factual statements can be made. Because vaping is still being studied, it will take time to establish solid information and statistical evidence on the topic of vaping compared to smoking. As ongoing studies and statistical information continue to accumulate, scientists will be able to better determine any health benefits of vaping vs. smoking and help you make well-informed decisions. Interested in making the switch from smoking? South Beach Smoke has everything you need to start vaping, from delicious, premium vape juice to starter kits that set you up with all your vape necessities. Whether you’re a newbie vaper or a long-time vape vet, South Beach Smoke’s wide selection of vape products has something for everyone. Check out our top tips for swapping your old-school cigs for a top-quality vape device and set yourself up for total vaping success. New Electronic Cigarette Cartridge Flavors Coming!